The dollar sold off in early trade on Tuesday following a tweet from President Trump in which he accused China and Russia of “playing the currency devaluation game”. It bounced back sharply later in the session after Treasury Secretary Steve Mnuchin told CNBC that this was not to be taken to mean that the president wants a weaker dollar, but as a warning shot to China and Russia not to devalue their currencies in future. Yet a quick look at the charts shows that if China and Russia have been trying to weaken their respective currencies, then their actions have been an abject failure so far. In fact, the dollar has lost over 7% against the yuan since Trump’s victory in the Presidential Election in November 2016. Meanwhile the rouble has been relatively steady over the same period although it sold off recently following the imposition of further sanctions from the US. Yet overall, it too has strengthened over the last 17 months, rising around 3% against the dollar. But let’s once again focus on the main offset currency to the dollar – the euro. 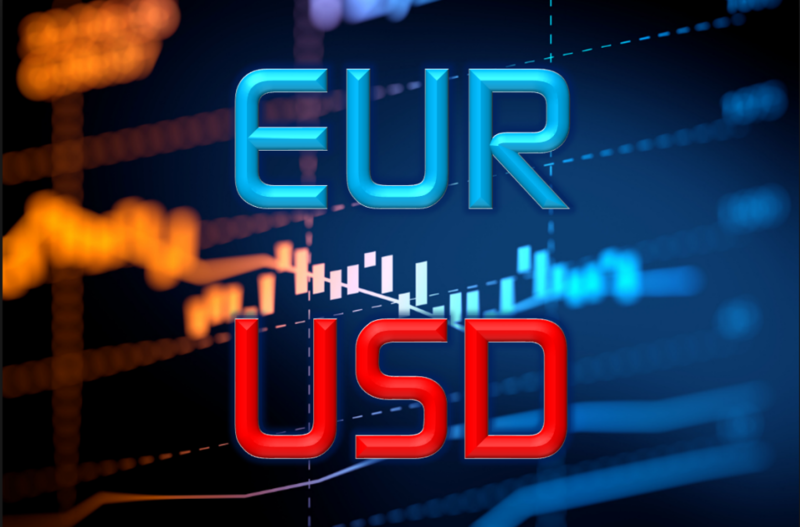 As noted in last week’s EURUSD update, the dollar should be getting support from the growing interest rate differential between the US and the Euro zone. In addition, the Fed is steadily removing monetary stimulus as it winds down its balance sheet while the European Central Bank (ECB) shows little appetite for tightening monetary policy. But it’s apparent that the Trump administration favours a weaker dollar to boost exports and help “Make America Great Again”. At the same time, unfunded tax cuts and Congress’s spending proposals are increasing the deficit and adding to the US national debt. These are negatives for the greenback. So, for now we see these conflicting influences pulling each way. The net effect is that the EURUSD has been trading sideways for most of this year. On the chart it looks as if a symmetrical triangle may be forming with prices compressing with a succession of lower highs and higher lows. This pattern requires more time to form as currently there aren’t enough price touches on either side of the triangle to give confirmation. But typically, a triangle is considered a continuation pattern which, should it complete, and given last year’s dollar sell-off, would suggest that the EURUSD should break to the upside. Certainly, there are plenty of analysts who forecast further dollar weakness, citing the long-term erosion in the greenback’s position as the world’s reserve currency. The most recent example of this was last month’s launch of yuan-backed crude oil futures in Shanghai. However, such changes can take decades to play out and it may be far too soon to call ‘time’ on the dollar’s dominance. Nevertheless, as measured by nominal GDP, the US now contributes less than 25% to global economic activity while the dollar makes up over 60% of global FX reserves. This difference should continue to narrow. And given China’s stronger rate of economic growth it seems reasonable to assume that a decline in dollar reserves will be the main driver.